Small business loans are an incredibly popular form of financing for entrepreneurs looking to get the capital they need for their businesses. Pharmacies aren’t alone in the desire to grow and get the capital they need to expand. Now with small business loans options offered through Silver Rock Funding, our lenders can get you the capital you need. Some business owners use the capital for expansion, some for payroll and others just for cash flow. Regardless of your need, Silver Rock Funding can help get you the cash you need. The entire process is free and you will have the ability to talk to your funding manager about the exact terms and rates you need for your pharmacy. From the beginning of the experience, you will have a one-on-one relationship with a dedicated funding manager. This person will help you gather the documents and materials you will need for a full application. They will also help you understand your options when it comes to funding, rates and financing. One of the more popular processes they will explain is the merchant cash advance option. This is where a business owner like you can borrow money and pay it back based on your credit card receivables in the future. Best of all you could get up to $500,000 in working capital for your small business within 72 hours. Small business loans are popular for entrepreneurs because they give the flexibility to expand without draining your savings. For most small business loans to be approved, you will need to provide six months of bank statements and three months of merchant processing statements. The decision to accept the terms and rates of the loans are completely up to you. Getting a merchant cash advance or any number of small business loans is easier than you think--even if you have a bad credit situation and still need a loan. 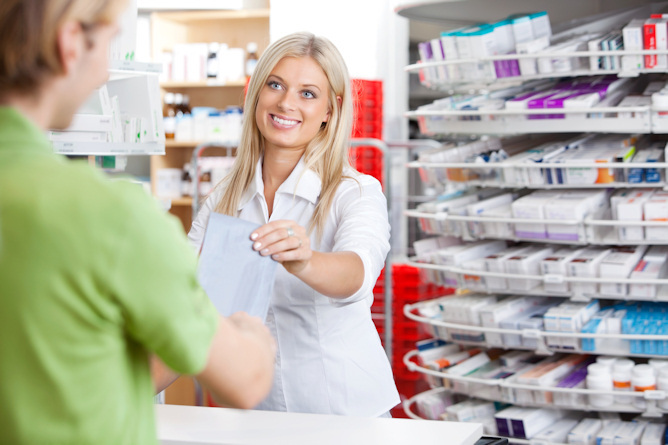 Our funding managers are here to help you get the money you need for your pharmacy. Get your business the capital it needs.